In recently years, CUN Design has won a number of gold awards globally because of its unique thinking in the creative office environment design, making it become an unexpected force in this field. 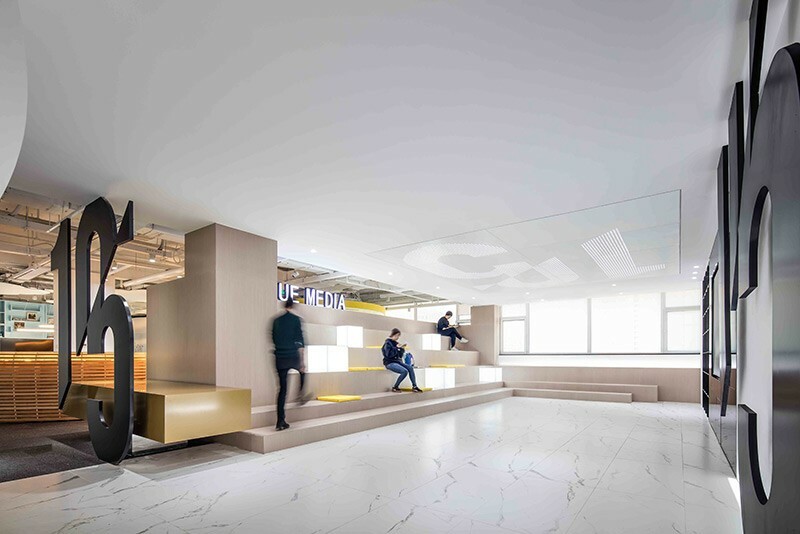 Especially that one of its projects was the only creative office environment in the world that was awarded as “Best of Year” in US. 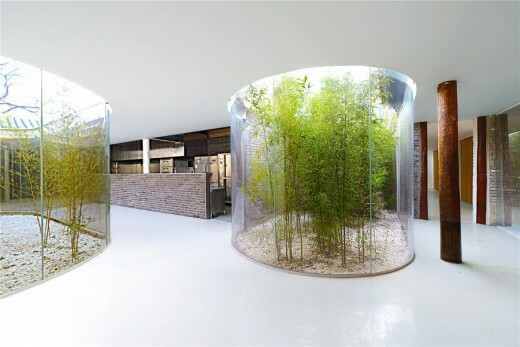 Through this achievement, an Internet celebrity from the new media industry—Mi Meng asked CUN Design to create a new office for her! 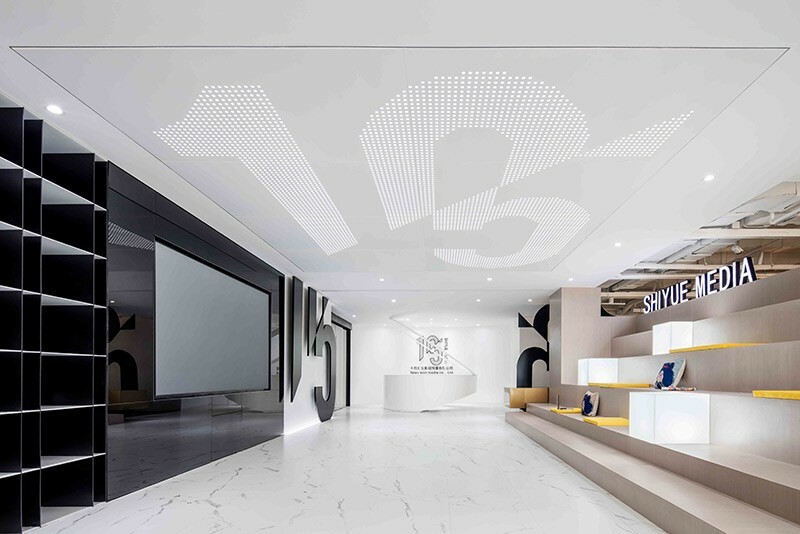 After several times of communication, CUN Design made friends with Mi Meng and her excellent team, and they found it was very interesting that most of Mi Meng’s staffs are from the post-95s generation, and they don’t treat their boss as a boss, but a friend. Therefore, we did not treat Mi Meng as our client, but instead, we took her friends’ demands as hers. CUN Design thinks that more positions and more diversified people can find their own place through their design, and more importantly, find a space to rest their minds. CUN Design feels that different people at different ages and industries will have a relatively narrow demand for the environment, but each individual has different preferences. Based on this, CUN Design looked for similarities to complete the design. During the design process, CUN Design captured the major desires of Mi Meng and her young staffs, then wrote them all on paper and then categorized most of the similar ones, such as warm and active colors, relaxed atmosphere, rest place, a swing and so on. 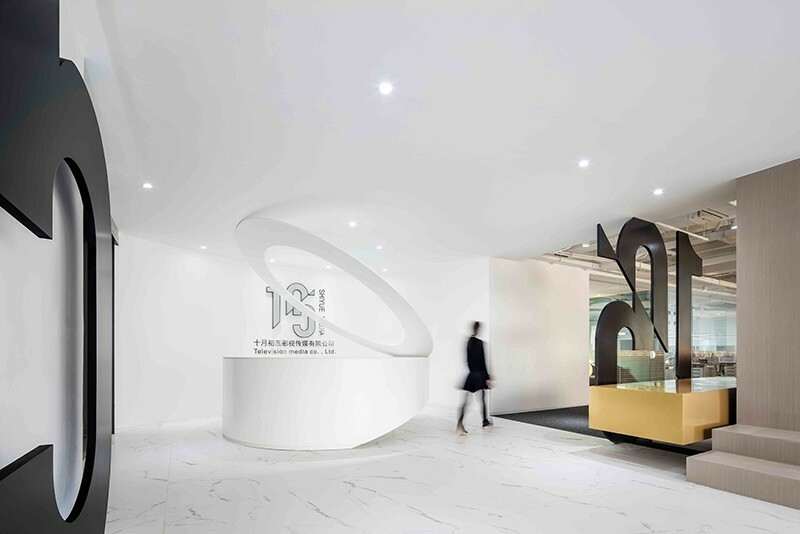 However, some special requirements were also the most difficult parts, such as in Mi Meng’s office, and how to arrange the entrance, sharing area and the lobby orderly became the key point of CUN Design’s research. CUN Design has been using the way of melting and refreezing in innovation. That is, every time they meet a conventional space, they would always break all the functional areas in the first place. This is the foundation of design, and through which the space can have unique temperament and characteristics. Therefore, this space belongs to Mi Meng and her young staffs. It is accurate and special, and more importantly, it’s full of variability. All of these came from CUN Design’s abandonment of experience. They melted functions and modules and then refroze them into a new thing. 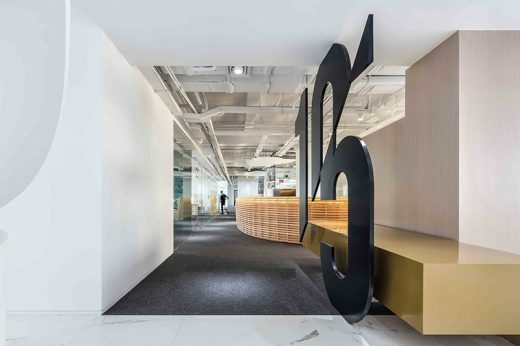 For example, CUN Design melted the letters of the LOGO to make them become partitions, and melted and recombined the sharing area and rest cabin, and melted the front desk and the sharing area and refroze them into Mi Meng’s space. They melted the interactive zone, entertainment area and mobile office and froze them into two bamboo office camps! They melted the small meeting rooms and brainstorm areas and refroze them into two working capsules! These will bring more efficiency and new experience to the office environment! The melting and refreezing method brings us a lot more possibilities! Recently Douyin (a short-video app in China) becomes very popular, which seems to make people get rid of WeChat and falls into it. The new things are changing at a much faster rate than the traditional ones. So in a new professional new media people’s space, in fact, the relationship among human, space and objects is relatively traditional and stable. But young people’s handling of these relationships and their lifestyles are also changing! For instance, the bicycles and bicyclists on the streets seem to have not changed, but the bikes are sharing bikes now, so there is a new relationship between them. This should also be a concern for designers. Designers should pay more attention to the changes in time and society, the new changes in new media industry, and the demands of younger customers. 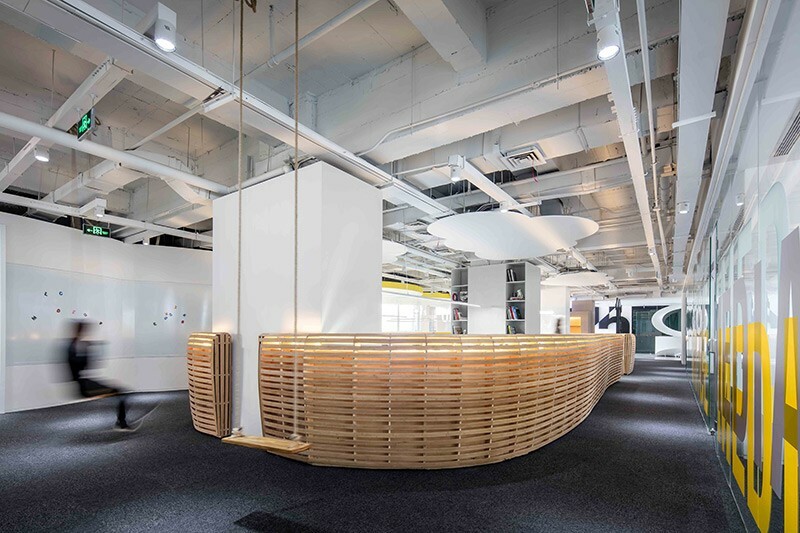 The space and people look similar, but design may bring completely different relationship between people and space, new production efficiency and new company culture. CUN Design was very grateful that the young staffs allowed them to finish this project together. Mi Meng loves to eat, and it’s said that she keeps storing snacks since her friends often eat them up secretly. Yet she is very happy! Maybe she deliberately wants them to put on weight! If this is true, what a clever boss she is. CUN Design hopes that Mi Meng and her friends can create more excellent content in this space, after all, Cui Shu’s wife is Mi Meng’s loyal fan! CUN Design focuses on the research and thinking in the office space design in several industries. Meanwhile, it will share the trend and idea of the new office every year.